Dozens of clinics across Canada are offering expensive and "unproven" stem cell therapies for a wide range of conditions, including Crohn's disease and erectile dysfunction, and they are able to advertise them without Health Canada's approval because of a lack of regulatory oversight, a new study says. The study, published Wednesday in the journal Regenerative Medicine, provides an overview of Canadian businesses that advertise direct-to-consumer stem cell therapies. These "unproven" treatments, the study claims, are often advertised "in a manner that inadequately discloses risks" while the treatments themselves "have not been approved by Health Canada, are not routinely provided as current standard of medical care, and that lack conclusive evidence of safety and efficacy generated in the context of controlled clinical trials." Leigh Turner, the study's Canadian author, is an associate professor at the University of Minnesota's Center for Bioethics, School of Public Health and College of Pharmacy. "You have a lot of companies and clinics setting up shop and there's this pretty big gap between the marketing claims they make and the current state of stem cell research," Turner told CTVNews.ca. "It's basically marketing hype…It's not really evidence-based medicine." In his study, Turner found 30 Canadian businesses operating out of a total of 43 clinics offering such "unproven" stem cell treatments. Twenty-four of these clinics are in Ontario, eight are in British Columbia, six are in Alberta, three are in Quebec while Saskatchewan and Nova Scotia have one each. "You can look across Canada, and you can find credible facilities doing stem cell transplants, but they're usually for cancers of the blood of some kind," Turner explained. "I think of those transplants as evidence-based." While Turner says that the majority of the businesses analyzed in his study advertise stem cell therapies for "orthopedic diseases and injuries, pain management and treatment of sports injuries" at least three also offer treatments for an incredibly broad range of conditions, including asthma, multiple sclerosis, erectile dysfunction, diabetes, lupus, ALS and gout. "I think there are degrees in terms of the outrageousness of the claims, but I think the larger problem with this marketplace is that you have businesses kind of attaching themselves to the magic of stem cells, almost portraying stem cells as these magical entities that can do all kinds of things," Turner said. "And the problem is, they don't really have the kind of evidence that you need to support these claims." Because these clinics' treatments are not approved by Health Canada or covered by provincial health insurance plans, patients must pay out-of-pocket -- and they are not cheap. In the event of medical complications, however, provincial health insurance plans must pick up the tabs. Cate Murray is the executive director of the Stem Cell Network, a Canadian network of stem cell and regenerative medicine researchers. "There's a lot of people who are living with really debilitating illnesses and diseases and the marketing on this stuff is incredibly compelling," Murray told CTVNews.ca. "And what we're seeing with these clinics… is that the techniques that they're using, where they use scientific language and quasi-scientific approaches to justify what they're doing, is really taking people in." In Canada, businesses marketing minimally manipulated autologous stem cells products for homologous purposes do not need prior authorization from Health Canada. In plainer language, these businesses can treat you with stem cells taken from your own body so long as they are not altered too much and they are used for purposes similar to their original function. None of these parameters are explicitly defined, however, creating in Turner's words, "regulatory grey zones." "We need Health Canada to do more than it's done to date to try and address this sort of marketplace," Turner said. "If I were to develop a regulatory framework, it would be one where you… have to go through a careful clinical trial process, you have to gather safety data, you have to gather efficacy data and you need to convince independent parties… that you've got a true treatment." Failing to do so, Murray added, means that patients will continue to be at risk. 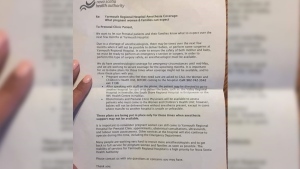 "Because of the gap and a vacuum that exists, because we don't have regulations in place and we don't have the provincial colleges offering guidance, we're seeing patients being taken advantage of, being left at risk for health complications and also losing out financially," Murray said. "Really, we're in an anything goes kind of territory at the moment." Like medications and medical devices, such therapies ought to go through clinical trials and get Health Canada's approval before they're marketed to the public, Murray said. "It's very important to have any therapy that's going to be put into your mom or dad, your sister or your brother or your neighbour, it needs to be proven to be safe and effective," Muray said. "We have a clinical trials process, a very good one in this country, and it needs to be adhered to." Murray cautions any Canadian against undergoing a treatment that hasn't gone through such a rigorous process. Three Canadian clinics were flagged by Turner for being "particularly disturbing" due to their "bold marketing claims." Both the Vancouver Stem Cell Treatment Centre and the Ontario Stem Cell Treatment Centre in Sudbury, Ont., advertise stem cell interventions as a way to treat an incredibly diverse array of conditions, including relatively common issues like arthritis and joint pain, as well as more chronic diseases like multiple sclerosis, lupus and Crohn's disease. Both clinics are also affiliated with the California-based Cell Surgical Network: a for-profit group of independent stem cell clinicians. The Cell Surgical Network, however, is currently subject to several lawsuits in the U.S., including one from a woman in Florida who allegedly became blind after receiving stem cell injections in her eyes to treat macular degeneration. The U.S. Food and Drug Administration, which regulates health-care products in the U.S., does not approve of any of the network's therapies. The FDA is also currently seeking a court injunction to permanently stop the company from operating. In a written statement to CTVNews.ca, plastic surgeon Dr. Scott Barr, who serves as the Ontario Stem Cell Treatment Centre's medical director, said that he "personally experienced the healing powers of a stem cell treatment using the same technology we offer in our clinic" to overcome lower back pain. "We do not make any claims of a guaranteed outcome anywhere in our literature or advertising," Barr added. All of the clinic's patients, Barr said, are "provided with the network's statistics on treatment outcomes. Procedures, Barr explained, follow "strict (Cell Surgical Network) protocols and the highest regard to sterility and patient safety." "Patients have the right to make health care decisions that accord with their own values, wishes and preferences," Barr said. "A very large number of patients have experienced significant benefits from their stem cell treatments." Dr. Martin Braun, who owns the Vancouver Stem Cell Treatment Centre, is a former emergency room doctor who also claims to have benefited from stem cell therapy following a serious knee injury. "(M)edicine is full of 'unproven' treatments," he said in an email to CTVNews.ca after being presented with the core of Turner's findings. "(W)e are collecting volumes of data showing that stem cell treatments are efficacious, and very very safe." "We make no claims as to efficacy. As in most things in medicine, there are no guarantees," Braun added in the same email. "The patients we see have failed their 'proven' conventional medical treatment, and are all suffering. They are looking for further solutions to alleviate pain or improve function." The clinic "disclose(s) all risks," Braun wrote, even though "there are essentially no safety issues with autologous stem cell deployment." Braun also bristled at the notion that further regulation could come from Ottawa or provincial bodies. "Do you honestly believe that a faceless bureaucrat in Ottawa can make a better decision than I can about what I want to do with my body?" he wrote in a separate email. "Regenerative medicine is the future. It will only grow, and Canada has to decide if we wish to be at the forefront or simply fall farther and farther behind." The third clinic cited by Turner for being an "extreme outlier" -- Phoenix Medical Spa in Brampton, Ont. -- offers stem cell treatments for everything from autism to diabetes to multiple sclerosis to gout. It did not respond to a request for comment. 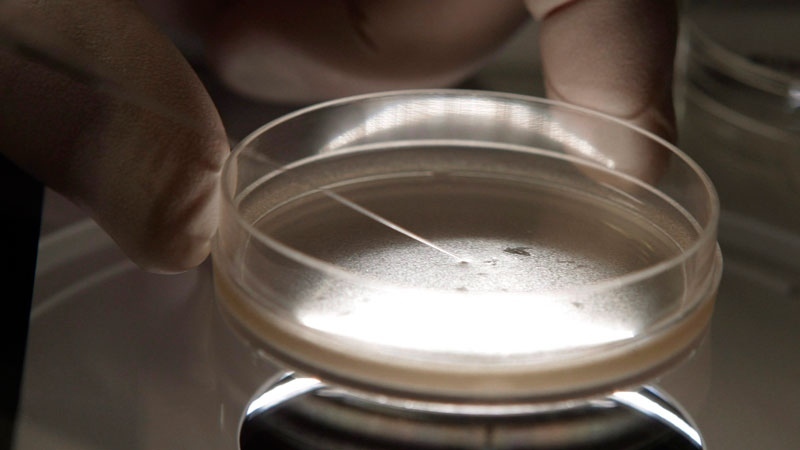 In a statement emailed to CTVNews.ca, a Health Canada spokesperson said that they continue to keep a close eye on stem cell clinics "to determine whether the specific activities being conducted are compliant with federal regulatory requirements." "Generally, products using stem cells to cure or treat disease remain at the investigational stage of development," Andre Gagnon added. "This means that Health Canada has not yet seen sufficient evidence that they are safe and effective, and distribution of these stem cell-based products would require Health Canada authorization." A spokesperson for the College of Physicians and Surgeons of Ontario described such stem cell therapies as an "an evolving area of medicine." "Although the CPSO does not take a position on individual therapies or treatments, we have developed policies to guide physician conduct while supporting patient autonomy," the spokesperson added. "If physicians offer complementary treatments to patients, their diagnosis must be based on their clinical assessment, be supported by sound clinical judgment and informed by evidence and a risk-benefit analysis." A spokesperson for the College of Physicians and Surgeons of British Columbia said that while patients in the province "have an explicit legal right to make decisions about their health care including choosing complementary or alternative therapies… in the College's view, there is no evidence of benefit to stem cell therapies." "(P)hysicians in B.C. may provide unproven therapies as long as they pose no more risk than conventional care and the patient is fully informed," the college said in an email to CTVNews.ca. "The College has received no complaints from patients regarding stem cell therapies." Stem cell clinics across Canada claim that their therapies have produced positive results for people with a variety of conditions. One man who visited a stem cell clinic believes that even failed treatments can benefit patients like his wife. In early 2018, Harry Dunbar brought his wife Peggy from their home in Angus, Ont. to a Toronto clinic that offers stem cell therapies. Peggy lives with amyotrophic lateral sclerosis, or ALS: an incurable and fatal neurological disease. Her treatment cost approximately $10,000. "Nothing happened," Dunbar told CTVNews.ca. "She did regress and she continues to regress, I don't know what the stem cell therapy did, if it did anything. We didn't see any positive results." The doctor, Dunbar said, did state that the treatment could be ineffective. For his part, Dunbar said he was "skeptical from the get-go." "We were grasping at straws at that point," Dunbar added. "We're not getting the satisfaction from our government here in Canada to put money towards research, specifically for ALS… You know, if they're not going to give us any hope, then we'll find it ourselves whether it's right or wrong." Knowing everything that he knows now, Dunbar says he doesn't think he would have acted differently. "Her face was just shining with hope and joy and so to me, that was worth every penny of going down there and taking a shot at it," he explained. "They go after people that are desperate. I know that. It's all about their marketing… I'm not naïve, but I'm still open to anything at this point if it puts a smile on my wife's face… And I think a lot of people with ALS would agree -- they'll do whatever the hell they can do if there's the slightest iota of hope."